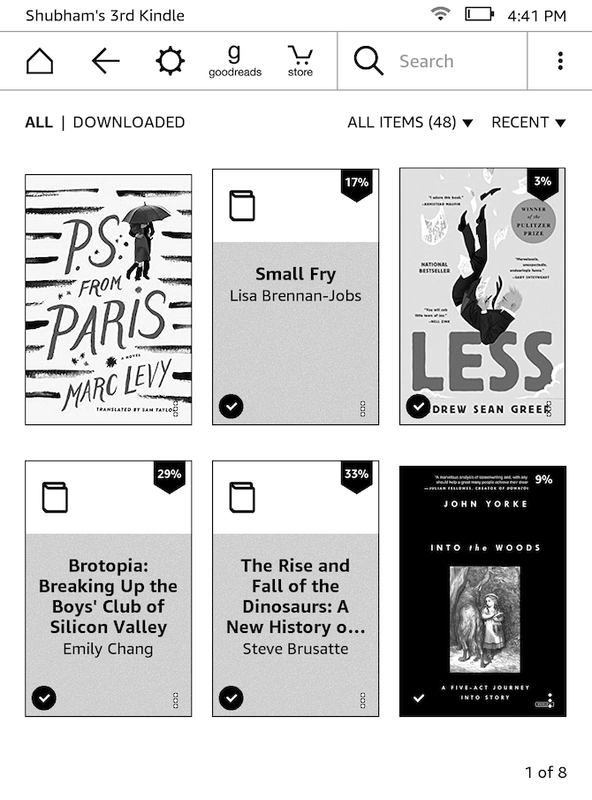 Amazon has made reading books on Kindle as simple as clicking a button every couple of minutes. That has led to many overlooking the rest of the Kindle’s abilities. Most users don’t look past the standard Kindle features. Here are some tips to help you get more out of Amazon’s ebook reader. 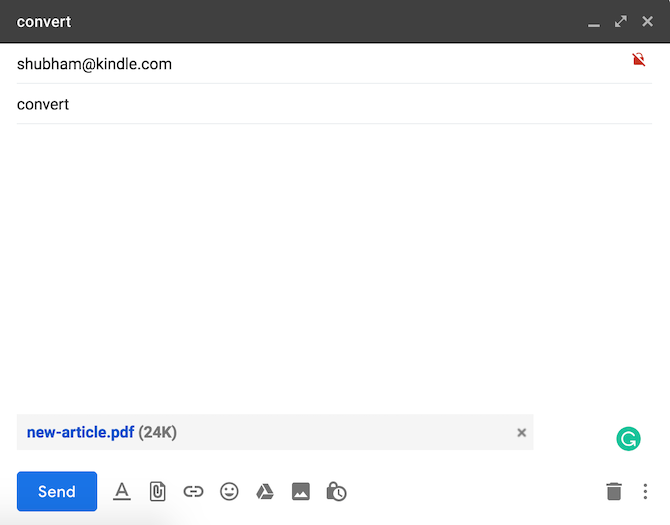 You might be familiar with the Send-to-Kindle feature which lets you email books or documents to your Kindle at a snap! The Kindle is compatible with a vast range of file formats. Only two allow you to take complete advantage of its functionalities like font size and WhisperSync though. Luckily, Amazon offers an easy solution. To convert documents to the Kindle format, write “convert” as the subject line when emailing a personal document to your Send-to-Kindle address. Amazon will convert the file and add it to your Kindle library. 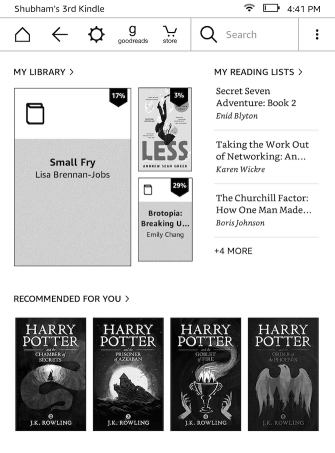 By default, your Kindle’s home screen is populated with books Amazon thinks you might be interested in and items from your reading list. That leaves little room for the books already in your library. Still, you can declutter your Kindle’s home screen by turning those recommendations off. 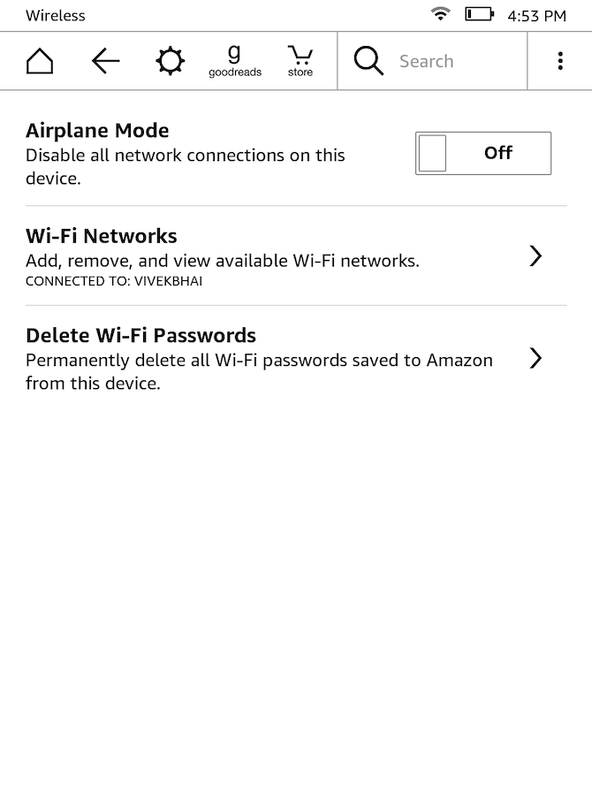 To do that, you will need to go to the Settings, then Device Options. Then tap Advanced Options. There, you will find an option to disable Home Screen View. Amazon also lets you link your social accounts like Facebook and Twitter to your Kindle. Doing so allows you to share excerpts and passages from a book on your social timelines. At the time of writing, Amazon supports only three websites: Facebook, Twitter, and Goodreads. For connecting your social profiles, you will have to head into the Settings and tap My Account. Go into Social Networks and click the one you would like to configure. Once that’s done, you can highlight any text while reading a book and hit the share button for forwarding it to your social timelines. There’s also a way for you to view a book’s most highlighted passages on a Kindle. 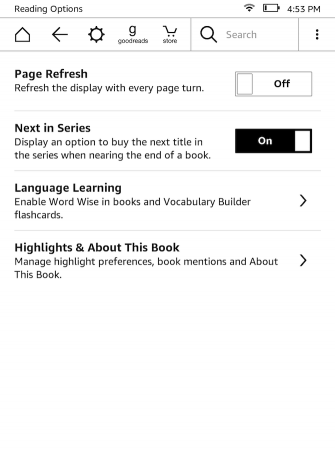 For reading those, open the book and tap the three-dot button present in the top quick access menu. Next, click Notes and then enter the Popular tab. Here, you should be able to view the text which the largest number of readers highlighted. The device will even show you how many people highlighted it and on which page is it situated. You can tap any individual paragraph to jump to the associated page as well. 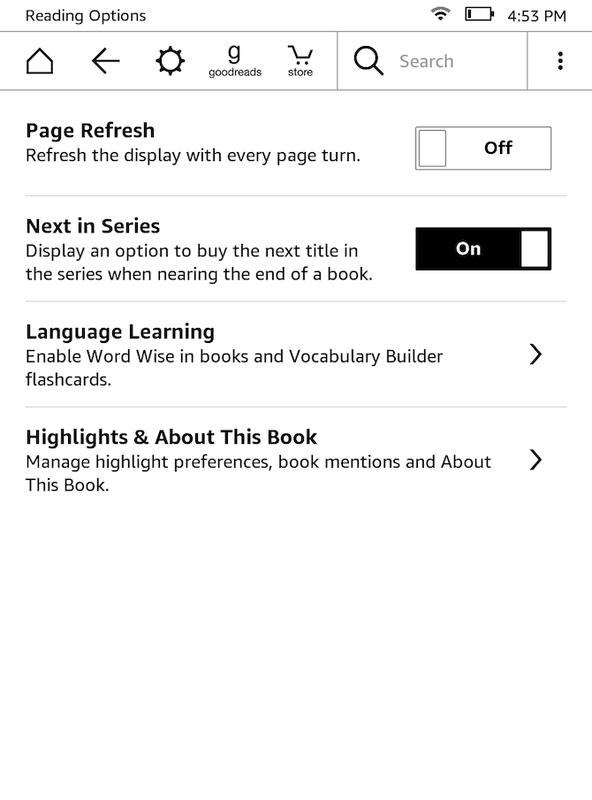 For people looking to share all their highlights and notes from a book, there’s an option for exporting those as well. In the same Notes pane, a button titled Export Notes is available. 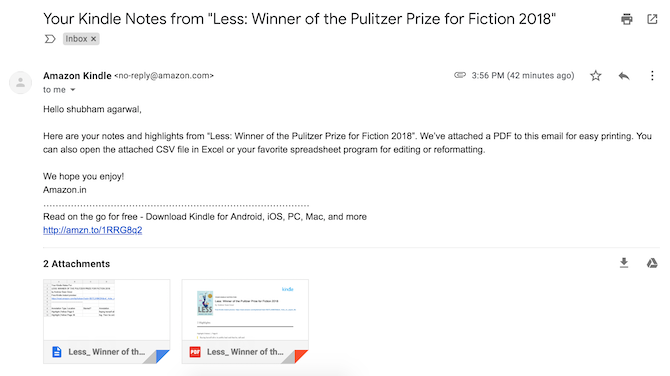 When you request your highlights through that, Amazon will send you an email with both a PDF and a CSV file containing all your notes from that specific book. Like your phone or computer, you can also take a screenshot on a Kindle. The process is slightly more complicated and can take a couple of attempts if you’re new at it. 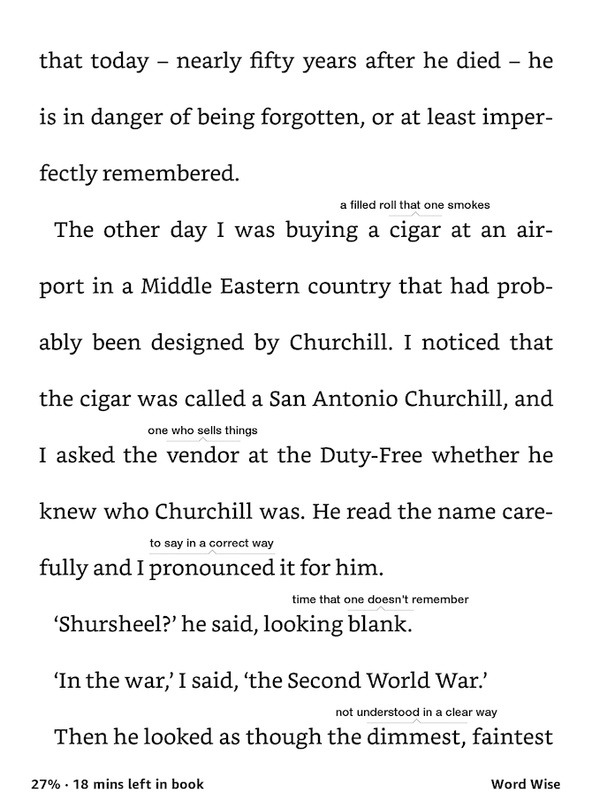 To capture a screenshot on your Kindle, you will need to tap two opposing corners like the top right and bottom left. If successful, the screen will flash momentarily. 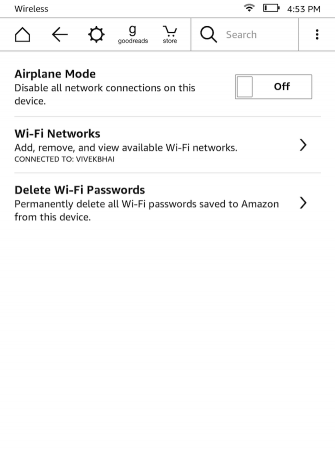 To use these screenshots, you will have to connect your Kindle to a computer and export them. They will be present in the root location, not inside any specific folder. Even though your Kindle probably lasts weeks on a single charge, it’s still annoying to see it has run out of battery when you’re about to start reading a new book. With a few tweaks, you can extend that battery life even further. The first one is to turn on Airplane mode when you’re not downloading or browsing new books. The quickest way to do so is by revealing the top menu and clicking the cog-wheel icon. In addition, you can also switch off Page Refresh from the Reading Options in Settings. Disabling this setting will essentially prevent the Kindle from manually refreshing its e-paper screen with every page turn. 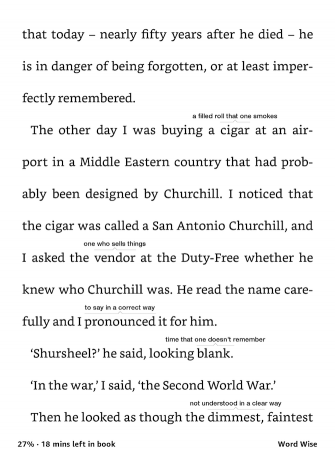 The reason the screen needs to be refreshed is that e-paper displays tend to suffer from an issue called “ghosting” where residues of the last page’s text are visible on the next one. Leaving the Page Refresh setting on ensures you never run into ghosting. However, even without it enabled, it’s highly unlikely you will ever encounter any problems. If you do, you can always turn it back on. The brightness slider on your Kindle comes with a quick shortcut for shooting it up to the greatest level. But what about those late night reading sessions when you’d like it to be at the least? It turns out there’s a nifty shortcut for that too. For bringing your Kindle screen’s brightness to the least, press and hold the little sun icon at the left edge of the slider. While there is a Max button already provided, you can also hold down the sun icon at the right edge for raising the brightness to the highest level. Kindle devices come with an inbuilt tool for readers who are trying to get better at understanding English. It’s called Word Wise, and when enabled it shows hints over difficult words. You can also adjust the number of hints the device shows on a single page depending on how well you know the language. While the majority of these tips may seem trivial, they can improve your experience, especially if you’re an active Kindle user. If you want more, there are hosts of brilliant websites for Kindle owners to browse when they’re not reading books. What is your secret tip? Tell us in the comments below! 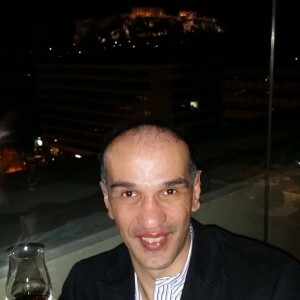 Hello, Marios and thanks for this post. It’s full of useful information. I have been thinking of upgrading my Kindle Dinosaur e-reader for a while now and when that happens I will bookmark and return to this page to learn more. The old guy still works pretty well so far as I use it for reading only but, the newer ones, well… they just do so much more now that it would, perhaps, be worthwhile to upgrade. Technology… moving pretty fast but still, you gotta love it. I have a 3- or 4-year-old 2nd generation Kindle Paperwhite, which still works as if it was the first day I bought it. And, it is gonna get a firmware upgrade as well, so, it will be like new. So, use your old one, or check out the all-new basic Kindle, if you need a replacement. I thoroughly enjoyed this article. I have been avoiding purchasing an e-reader and stuck to paper copies, because, just like all other technologies, the first are never without problems. It takes time to work out the kinks, and to add functionality that makes it really worth it. After reading this, and seeing how far they’ve actually come, I think it’s time to take the plunge. There are a lot of benefits to ebook readers. So, if there is anything else you want to know before you take the plunge, please, be my guest! I actually don’t have a secret tip. I am all about learning. Actually, I don’t have a Kindle device, what I have is a Kindle application and I have not made any sense out of the app so far. I downloaded the app mainly to get the privilege of getting free books that can only be read on kindle. But I’ve only been met with disappointments. So, I was wondering if people like me have any hope of getting this fantastic features to work for us? I hope I have sparked your interest in owning a Kindle and buying some books. It’s a great device and in many perspectives, better than a book. If you have any questions on how and where to start, please let me know! I miss my Kindle Fire so much. It just packed up after I had been away from the country for 4months. I got home and it wouldn’t boot, battery was also condemned and I took it to the shop and they said,they couldn’t save it. I think the disappoint and anger just made me averse to spending a dime on another kindle. Reading these tips to get more from the Kindle has kindled my interest and love for the kindle again. I might just buy one at the end of the wwek, so I will just bookmark the page for later consultation. I guess it’s time for a new Kindle. You can check out the all-new basic Kindle, as well as how to set it up. With Amazon, the world is almost on a finger tip. With just a click, you’ll be launched into a world of endless possibilities. While in college, I have downloaded loads of books via Amazon. As a voracious reader, this has really helped. I am so sure there are several others who have equally benefited immensely from this channel of information. With Kindle, it has just gets better. May I welcome someone into a world of endless possibilities. Amazon Kindle is obviously a great tool for lovers of books like me. To my greatest amazement, I never knew about the kindle’s brightness feature, being able to shoot up the brightness through the brightness slider. 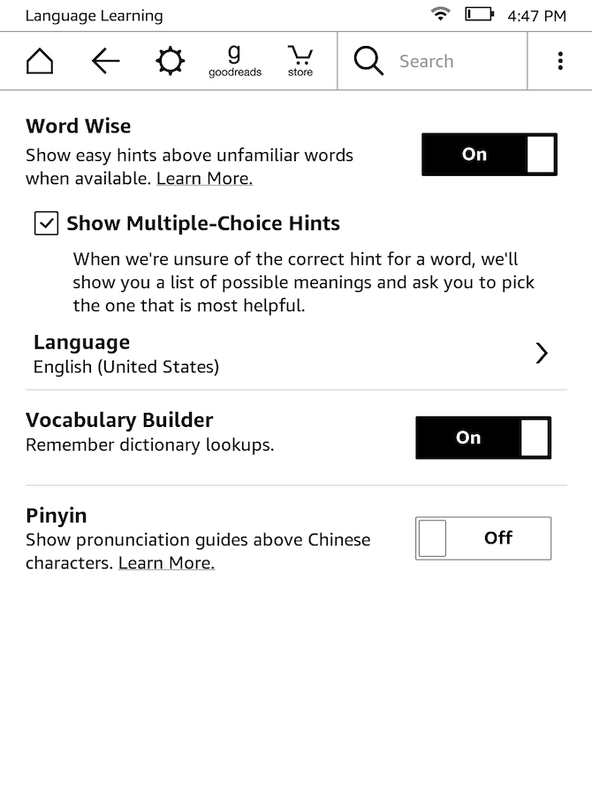 The Word Wise feature of it is also an amazing feature of the Kindle device, being able to hint up difficult words and helping the user in understanding English even better. Thank you so much for highlighting these great features of the Amazon kindle formerly alien to me. The brightness option is great. Did you know that you can change not only brightness but the font type and its size as well? Wow, this is really delightful, this article is really good. You are so right about the many other features of kindle overlooked. With these information I look forward to owning a kindle. I think the features I look forward to using the most is to connect social media accounts and share excerpts, really nice! My favorites are Converting Documents and learning a new language. I’ve benefited greatly by reading the review about Amazon Kindle. Reading is one of my favorite hobbies since childhood. Now with the advancement of technology, I am also used to ebooks. Through the reviews, I learned about the special benefits available through Amazon Kindle. Especially I enjoyed the part taking screen-shots and sharing in social media. Sincere thanks to the author for writing a great review. I am aware of that, in fact, I am going to write a post on that. Thanks for the tip!